In commemoration of Valentine's Day I though I'd share a few of my favorite recent loveseat finds. Loveseats can be the perfect lounge-worthy addition to a living area that's limited on space, or they can be perfect for creating small conversation areas in an otherwise large room. 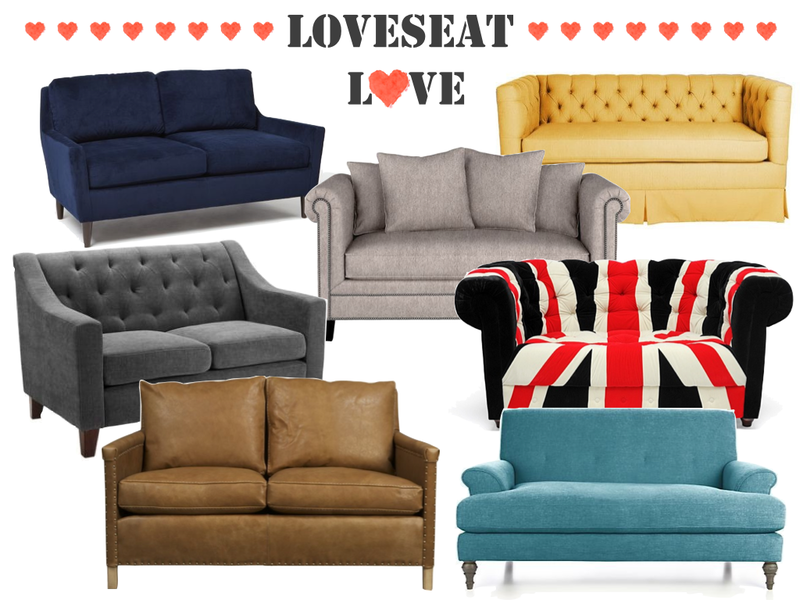 Which loveseat do you love best?? If I could pick one, I think I'd go with the buttery brown classic leather option, or if I was feeling a little bold perhaps I'd go with the navy velvet as a wildcard pick. Happy Valentine's Day to you and yours! Oh my ... your mom & color specialist Addie would've guessed the yellow one to be your favorite! Mom likes the taupey linen one best.